China Confidential has learned that after promoting the processing of jatropha and waste vegetable oils into biodiesel through variations of the classic transesterification method, Chinese energy experts would like to learn more about a completely different, competing technology, which has been developed by Finland's Neste Oil. The company says it is using the breakthrough biodiesel technology at its Porvoo refinery to produce a superior petro-diesel replacement fuel from vegetable oils--including jatropha imported from India--or animal fats. Neste, which aims to be a global leader in biodiesel, has not disclosed the per-gallon cost of producing its fuel. In February, Neste and Total announced that they had decided to discontinue their project to build a plant to produce diesel fuel from renewable raw materials at a Total refinery in France. Feasibility studies on the project, which was announced in 2005, showed that building the plant at Dunkirk would have proved too expensive. In addition, Neste is working with Austrian oil refiner OMV Aktiengesellschaft to build a 65 million gallon a year biodiesel plant based on NExBTL technology at a site near Vienna, Austria. According to a Wikipedia entry on the process, the technology "entails direct hydrogenation of plant oil, which is triglyceride, into the corresponding alkane. This removes oxygen from the oil. Unlike the yellow transesterified biodiesel, the product is a clear and colorless paraffin, with a good cetane number (85 to 99) and better properties than even petrodiesel. It requires no modification or special precautions for the engine." In transesterification, virgin or waste vegetable oils or tallow are mixed with methanol and a chemical agent, such as sodium hydroxide, to produce pure, non-toxic, biodegradable biodiesel, known as B100 in the United States. B100 can be blended with petro-diesel at any ratio for use in unmodified diesel engines. Pure biodiesel can also be used without blending, which prevents the fuel from gelling in colder climates. Neste is also working on a wood-based biofuel process. The company's biodiesel investments support the view that petroleum refineries may have an economic advantage in producing biodiesel compared to conventional producers. 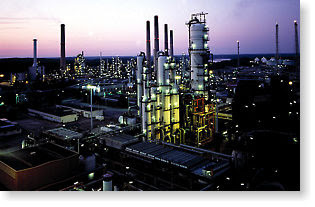 Like Petrobras, Neste says its technology can be smoothly integrated into traditional petroleum refinery operations. The big biorefinery model is also of interest to PetroChina (the listed arm of China National Petroleum Company), which is investing heavily in biodiesel but finds itself fighting for feedstock with hundreds of smaller firms. The competition for waste vegetable oil is especially intense, forcing many Chinese biodiesel companies to shut down or suspend operations. In the United States, ConocoPhillips recently announced a deal with Tyson Foods to use fat from Tyson's rendering plants to make "renewable diesel" fuel in COP's refineries. COP reportedly developed the process using soy oil in Ireland, using its existing oil refinery there. In the meantime, Volvo has announced that it is ready to build and sell, at 24 months' notice, diesel-engined trucks that run on any of seven different renewable liquid and gaseous fuels, including biodiesel, which won't produce a net gain of harmful carbon dioxide in the atmosphere after being manufactured, distributed, and burned. Post Script: The traditional oil industry's response to renewable fuels is intriguing. Most companies seem inclined to downplay demand for biofuels, stressing development of cleaner-burning, non-renewables. 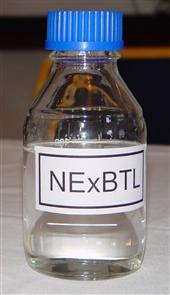 Others, attracted to the traditional oil trading model as a means of dominating the emerging sector, are apparently ready to invest substantial capital in biodiesel-like alternatives, as in the case of Petrobras and COP, or actual biodiesel, as in the case of Neste (although the company's new fuel is technically not a true biodiesel because, while made from vegetable oils and animal fats only, it is not produced through the transesterification process). Put differently, a petroleum refining and marketing company--lacking its own oil reserves--is less likely to push a process that mixes petroleum with natural raw materials than a vertically integrated company that both produces and refines petroleum. Either way, the petroleum industry's interest in biofuels is worrisome to independent producers who are already feeling the pressure of rising feedstock prices. Regardless of their commitment to combating climate change by reducing reliance on the fossil fuels that contribute to global warming, the last thing the independents want is to simply serve as catalysts, or agents for change, without reaping their projected economic rewards.